This is my first Saturday home in over 6 weeks. I just finished moving the computer so I wanted to leave a quick post. I am super busy today playing catch-up and moving things around. . But I am going to relax today too. I planned to get my HHMin Texas post up probably this evening. all paint paper related activities. All in all I think this will be a much better set up. So now I am off to move stuff. Have a Happy Day. I'll be back! She winced. His endearing accent softened the harshness of his words. She’d never let him know that part of her agreed with his sentiment. She was a litigator and proud of it. Mike nodded. He took a step closer to her, all six foot plus of him. He was impressive, and he clearly wasn’t letting her off the hook. Billionaire Aidan Cross longs to escape his life of celebrity and become a regular guy, if only for a brief time. His chance comes when his yacht breaks down near quaint Cypress Key, Florida—the site of his planned five-star golf resort. The golf resort no one in town wants. Casey Stuart has given up her dream of escaping to the big city. She refuses to desert her uncle, even when he hires the new stranger in town to replace her at their golf course. Casey vows to steer clear of the stranger called Aidan and the danger their inescapable chemistry provokes. 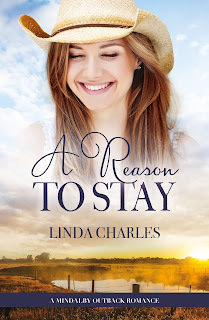 Aidan’s stay is temporary, and falling for him promises only heartbreak. When Casey discovers Cypress Key’s mayor is making underhanded business deals, she ends up on the wrong side of the powerful autocrat. Aidan steps in to rescue her, but secrets from his past threaten to bogey their new-found relationship. A fun and sometimes funny read. I was drawn in from page 1 but I was captured when Aidan and Casey accidentally meet. Accidentally in that Casey is knocked overboard from her tour boat and hits her head. Aidan seeing the whole thing jumps in and drags Casey out of the water. And so begins the romance. Even though Casey has been hurt in the past she can't deny her attraction to Aidan when her uncle decides Aidan needs to move in with them after bailing him out of jail for decking the guy that sent Casey overboard in the first place. Along with just a fun romance there is some thrill and intrigue going on too. It's not suspenseful necessarily but the town mayor isn't all he is suppose to be and in fact he is basically a criminal. 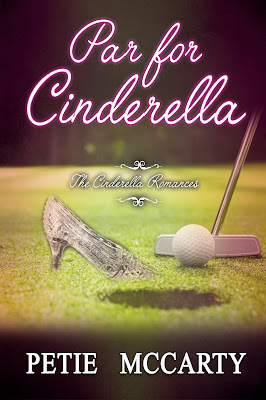 Although Par for Cinderella is a standalone it is part of the series. A few of the characters from the previous titles make an appearance and help Aidan out as they investigate the illegal dealings that are going on in town. I really enjoyed this one. Aidan did turn out to be Caseys very own Prince Charming and everything ends happily ever after. If you like a good sweet and clean romance check this one out and the rest of the series too! Letty Gonzalez is a true romantic. She’s spent her life waiting for flowers, poetry, the grand gesture that will finally sweep her off her feet—without any luck. After her latest dating fiasco, she’s ready to give up on the idea of Prince Charming—but not on down and dirty fantasies about her new boss—gorgeous, out-of-her-league Max Delgado. I am very busy, but I promised Laurie that I’d give a quick interview. She knows I’ve got work to do! But she believes this blog is of the utmost importance, so I do too. I am New York City’s Ninety-ninth mayor, Fiorello La Guardia. Of course, as the “Fio” in L.A. Chandlar’s Art Deco Mystery Series, I’m not exactly The Fiorello. It gets a bit confusing for Laurie, sometimes. Because she has me, as Fio, do a LOT of what the real mayor did. In fact –I love this—most of my more over-the-top action scenes or funny office scenes are what the real mayor did in fact do! You’d best be advised to always read Laurie’s author notes, because there is where she reveals what is real and what is fiction. She once had a reviewer criticize her for having me show up at a crime scene so fast. But oh I so do LOVE to show up as a first responder at a crime scene, traffic accident, or fire. I beat the cops most times. Y’see, I have a police radio in my office, in my car, and at home. It drives my wife Marie up a wall. I enjoy being in this series. I love my New Yorkers. So I hope that the good citizens read these books to enjoy my antics. I am a busy man. The press can’t keep up with me. But I do show them an interesting time, they are never at a loss for a good byline from me. Lane and I have a special relationship. She of all people can almost keep up with me. I’m pretty brazen, she keeps me in check. Sometimes. (I hope you can “see” me grinning as I say that.) I like how she can see behind the eyes of someone, or a situation. I’m pretty sure she caught me sawing off an inch of the front legs of my office chairs, to keep people uncomfortable so they don’t make meetings last too long. But we just keep that little secret to ourselves. I do have a beef with Laurie, though, as our author. I think she should have me be the savior of more action scenes. I do have to say, though, that scene where my crew has to come rescue me is a hoot! I never would have expected that. My friends really have style, don’t they? Competent and they’ve got some panache. Laurie is very creative. But really, Laurie, if you’re reading this, I want more scenes where I race in and save the day. I know I know, Lane can save herself…blah blah blah. I want a good action scene where I can blow my trumpet again like I did with the Artichoke King in real life and the end scene in THE SILVER GUN. That was really fun. And you wonderful readers out there, one of the best things about my life and about this series, is that it paints a big, beautiful picture of the gritty wit, the art, the strength of women and minorities, and the sheer brilliant will of the Thirties. My deepest wish is that it would bring you some joy and inspiration. I’ve always believed that art brings forth fruit and healing. But it does even more than that, it brings life. Thank you for having me. I’ve truly enjoyed being here, but I’ve got to go now. I’ve got work to do! This was an absolutely wonderful read! Wow! It amazing when you come across a second book in a series that’s just as good as the first book, but that’s what we have here with The Gold Pawn! This action-packed sequel to The Silver Gun delivers another imaginative plot, well-developed characters, and fascinating historical detail about 1930s New York City. To read reviews and enter the giveaway click here. 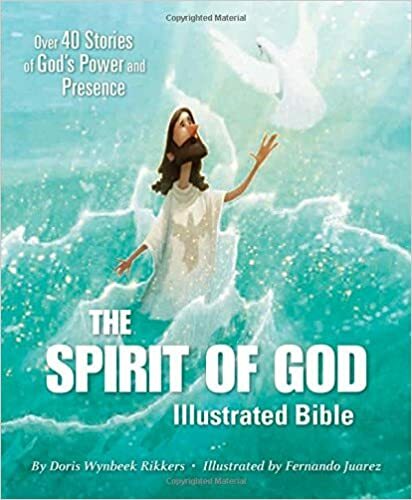 The Spirit of God Illustrated Bible, brings to life more than 40 Bible stories that help kids understand that God’s Spirit has been with us since the beginning of time and continues to be with us today! Old and New Testament stories such as Adam and Eve, Abraham, Joseph, the Baptism of Jesus, and Pentecost come alive with dramatic illustrations and meaningful text that showcase God’s Spirit. The unique cover shines with beautiful foil and makes it a storybook Bible you and your kids will want to read again and again. An great story Bible for the family. The stories are easy to read and short enough for younger children. The stories are written for children. They are not written for adults and it might be thought that they are a little 'off' in some instances but you have to realize and remember that it is a children's version and meant to be written in a way that children can understand. I did not find this negative. The illustrations are creatively childish and whimsical to capture young ones attention. I enjoyed reading these stories they are written in a way to keep the young ones interested. I would also use as an add on to Home School curriculum for young readers. I recommend this Bible for families. It would make a great gift. Zondervon provides some resources including examples and info about the artwork (Click here) . There is also a trailer click here. Flipping houses can be fatal! When Katelyn finds a dead body in her first home renovation project, she seriously doubts her decision to “follow her bliss.” After getting fired from her steady job, her plan to flip houses takes a hit when she becomes a suspect. After all, possession is nine points of the law, isn’t it? Especially, when it’s a dead body. To keep herself in pizza, peanut butter, good coffee, and her stray cat, Boots, in kitty chow she takes survival jobs as a wine sample hostess and market researcher. Meanwhile, Sheriff Don is kind of hunky, and her ex-husband, Eddy (it’s complicated) is back in her life sleeping on her sofa. How’s a girl supposed to solve dead body mysteries, make a living, and find love? I stood on a rung of the stepladder, looking into a black hole of the attic access in the closet of the house I was rehabbing. “Dang it! Dang. Dang,” I said, sputtering, my heart racing. “What?” My best friend, Myra asked, puzzled, as she waited for me. Myra Alexandria Payten was nervous about heights, even six-foot stepladders. She wasn’t a fan of peering into remote areas of homes under renovation and waited while I inspected the attic. “It’s a body,” I said, gasping. “A body that hasn’t moved for a while.” My legs quivered, and my knees buckled. Gingerly, I stepped down the ladder to face a flabbergasted Myra. “You have got to be kidding!” she said, each word short and clipped, staring at me openmouthed. Myra always used proper English, even under stressful conditions. “I kid you not.” Dread settled in the pit of my stomach. “I hate it when that happens.” When faced with panic-inducing situations, I can be understated, stoic. “We must call the police immediately!” Myra gasped, her hazel eyes wide. I felt badly about the body we’d just found in the attic. The poor soul could have been there a while, but any smell was held at bay in the cool Minnesota spring. The heat was off in the house, and the body was well-preserved—for a dead person. The dread in the pit of my stomach was terror about my present finances. This was my job now; I was a house renovator. Just a step up from a slumlord. My name is Katelyn Baxter. I am thirty-five years old. I admit to twenty-eight, because twenty-nine is a cliché. I’ve been married twice. Once divorced, from my high school beau, Eddy. Now widowed, from the love of my life, Jake. My business card says I am a Home Renovation Specialist. I love anything related to home repair and renovation. So much so, when I was dismissed from my position at a mega medical organization, I decided to become a house flipper. A year earlier, my boss, Michael Preston Ness, chief communications officer, had summoned me to his office. Someone in marketing was going to take a hit for the team, a demotion to ‘records coordinator.’ I was the one selected to take the hit. He glared at me from across his desk, his face turning an impressive blotchy red, a blue vein bulging in his forehead. “Hell, no!” My face felt hot, and was likely as red as his. By the end of the day, Janice from Human Resources and Michael Preston Ness marched to my cubicle, took my key, pass card, and ID as an esteemed employee. In a final humiliation, I was told not to talk to anyone at the hospital. I presumed, that meant friends, as well. That evening, while calling everyone I knew, I finished a fresh bottle of chardonnay. My hangover lasted a day. The rest of the week, I lay on the sofa, watched cartoons and ate Doritos. I will refrain from naming this goliath company in the event they could sue the heck out of my penniless soul, and I am somewhat paranoid. This is how I came to renovate the house on Bluebird Street in Crocus Heights, Minnesota. It was in a “transitional” neighborhood where streets were named for birds––Robin, Hawk, Jay, etc. The neighborhood had seen some decline, but was becoming fashionable again, with close proximity to amenities, public transportation, established parks, recreational areas, and jobs. Massive oaks, willows, maple trees, established lawns, hearty hydrangeas, and gardens invited new homeowners to the area. The house was a sturdy model from the mid-sixties that the previous owners had started to update. The taupe-colored, wood siding was solid. In a breath of fresh air, the owners had replaced the roof with the insurance money they’d received after the last big storm. I had bid on the house at auction and bought it for a sum firmly under market price. It was a contradiction in the economy. Cheap housing, but with no jobs, who could afford even a cheap house? Now, beside a list of rehab projects, I was in a quandary about why and how a dead body was in my attic. With non-stop action, I never knew what was going to happen next. If you enjoy a page turner this one will keep your attention. A fast-paced, intriguing yet character-endearing, cozy mystery, with a delightful frisson of clever humor and realistic ups and downs . . . Fatal Flip is an amusing cozy mystery that will have you in stitches. There is nearly non-stop action and a few unexpected twists. There is also just enough humor to keep things from getting too intense. I didn't 'Flip' over the cover. Would I have purchased it or even picked it up based on the cover? Actually no. But judging a book by it's cover is true. Don't judge. Now the title/theme drew me in. Flipping houses and redoing are 'in' now. Fatal Flip gives the reader non-stop action and some twists and turns that might have your head spinning. A few tips are included to make it a fun read. 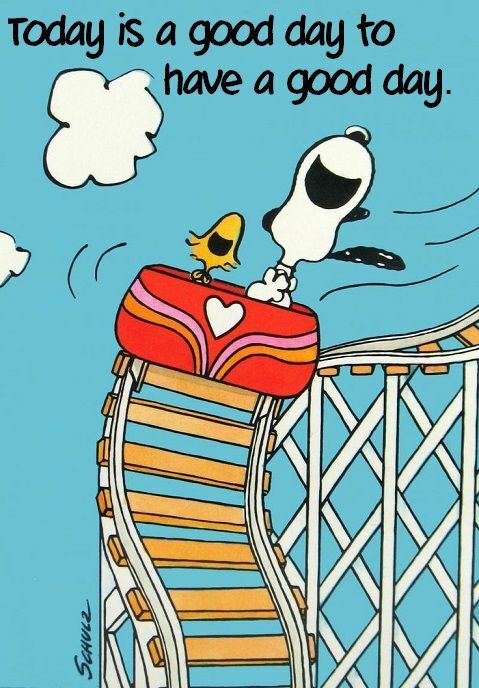 Settle in and go along for the ride. It's twisty and turning but worth every minute. I enjoyed Katelyn. She was fun and funny and confused about love. The suitors are charming in their own way even the ex but everyone loves a cop. Right? If you love Cozy's this one is worth picking up! To read reviews and interviews click here. And there are Giveaways too. Visit the tour. I enjoy this series. The small town library setting draws me in. Filled with the perfect Cozy elements Christmas, a small town library, a resident cat, some great characters including a ghost; and a mystery that will keep you turning the pages. Read and Gone is filled with twists and turns and alot crime from jewelry heists to murder. All this keeps Carrie scratching and rubbing her head when she is assaulted will trying to find clues. If you love a good Cozy Mystery you'll want to give this one a try. My review will appear on retail sites, Good Reads and Net Galley. To read more reviews and interviews click here. I have not read the book yet. My review will be coming soon! To read reviews and interviews click here.